For close to twenty years, Stuart Weisbrod and Jacob Gottlieb have been running separate funds. Currently, they are working under one roof. The two men are investors in the healthcare sector. They recognize each other since they worked together in Merlin Biomed Group. Mr. Stuart Weisbord co-founded Merlin in the year 1998. This investment management company concentrated on healthcare. It focused on different portfolios in the pharmaceutical, medical device, biotechnology, and healthcare service sectors. Stuart Weisbrod has had a remarkable record in biotechnology and healthcare investments. Weisbrod also held positions in different firms like the Merrill Lynch, Harpel Partners, Oracle partners, and Prudential-Bache securities. His necessary expertise and network in building a winning team are provided by his professional background. The successful team includes the renowned investor Jacob Gottlieb who worked for Weisbrod as a portfolio manager in the year 2000. At the height of technology revolution, Gottlieb worked at Merlin firm. He helped the firm achieve returns of more than a hundred percent in the year 1999 and 2000. The portfolio managers including Gottlieb were able to generate large returns successfully. This helped them large prominent clients like the major family offices, pension funds, endowments, and high net worth individuals. Regardless of great years of success, Merlin refunded the investors and closed in the year 2007. Weisbrod then came up with an idea of creating another firm by the name of Iguana Healthcare partners. The organization operates on the same standards as Merlin. Iguana Healthcare Partners focuses primarily on public companies in the healthcare sector. It focuses on areas like medical device, pharmaceutical, biotechnology, and healthcare information technology companies. After leaving Merlin, Gottlieb created his firm by the name Visium Asset management. The corporation expanded rapidly and hired a significant number of employees. In the year 2016, three executives were accused of mismarking and insider training bringing the business to a sudden end. Maintaining his role as the Chief Executive Officer, Gottlieb went on with his work to refund the investors and winding up the company. The healthcare industry is about to see great things and remarkable changes in healthcare investment opportunities. This will be brought about by the working together of two titans who have vast experience in the financial entrepreneurship. You may not be familiar with Hussain Sajwani, but he is one of the Middle East’s wealthiest Developers. Sajwani is the founder and owner of DAMAC Properties. Founded in 1976, DAMAC was originally a food service company that catered to the energy sector in Abu Dhabi, during the 1980s. Hussain Sajwani and DAMAC also provided food service for the American troops during Desert Storm in 1991, and also U.S. troops in Somalia, and Bosnia around that same period. While DAMAC Owner, Hussain Sajwani has expanded the business model beyond catering, DAMAC still engages in food service. In the year 2002, Sajwani expanded the business by founding DAMAC Properties in Dubai. This was during a period when Dubai was entering a six-year real estate boom. DAMAC Properties entered into the market specializing in luxurious properties that were aggressively marketed. As the owner of DAMAC, Hussain Sajwani has made the decision to focus on the development of opulent properties that cater to the upper echelon in Dubai. Sajwani’s DAMAC is the largest real estate developer in the UAE. DAMAC is known for its high-end promotions that involved Lamborghini and Bentley giveaways for anyone that leased apartments from DAMAC. Sajwani also partnered with Versace and Bugatti to provide offerings exclusive to DAMAC clients. Keeping in step with his glitzy reputation, the owner of DAMAC partnered with Donald Trump in emerged in 2013, as the developer for the Trump International Golf Course in Dubai. The development of the course involved the transformation of 500 acres of barren desert land into a luxurious resort and 18-hole golf course designed by golf superstar, Tiger Woods. Sajwani was a personal guest of Donald Trump for his 2017 New Year’s celebration at Trump’s Florida resort, Mar-A-Lago. The then President-elect referred to the Sajwani family as, “the most beautiful people,” during his speech that night. Sajwani is also a philanthropist that contributes to global humanitarian efforts. Most notably, is the AED 2-million contribution made by Hussain Sajwani on behalf of DAMAC Properties, to The Ramadan Initiative, to clothe a million children around the world. Whenever you think of an entrepreneur, you probably think of an individual who creates value and innovation in order to earn a living. Malcolm CasSelle fits this definition perfectly. Malcolm CasSelle is a self-described entrepreneur, venture capitalist, key leadership figure of the digital technology industry, and is now the president of WAX or better known as Worldwide Asset Exchange. 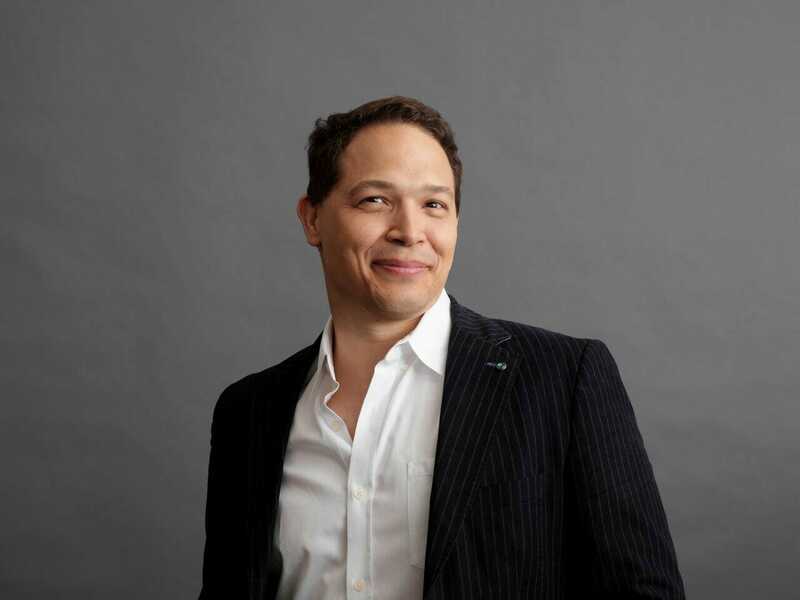 Before becoming the president and founder of his new decentralized technology company that specializes in virtual asset exchange Malcolm CasSelle also served as the president of Tronc, Inc. However, even this was not his first key leadership position in the digital technology industry. Before being president at Tronc, Inc., he was both the general manager of the digital media division of Seachange International as well as the organization’s senior vice president. He was first moved into this role during the acquisition of Timeline Labs by Seachange International. At the time of its acquisition, he was already serving the organization’s chief executive officer, so it was really just a transfer of leadership roles for him. If serving as a leader for numerous technology companies in the digital sector was not enough he is also well known for his role in the success of a number of startup companies. He was involved in the development of MediaPass, Xfire, and even Tencent which is a joint venture with well-known Corporation Groupon. Not only is Malcolm CasSelle an individual who has served in several key leadership positions throughout the digital technology industries as well as help to launch several corporations successfully but he has also had the luck and foresight to invest during the early stages of both Zynga and Facebook. In addition to his venture capitalism efforts in Zynga and Facebook, he has most recently begun to invest in blockchain technology. Of course, in order to achieve such levels of success Malcolm CasSelle is a highly educated and sophisticated individual. He is trilingual and is able to speak English, Japanese, and Mandarin. Additionally, he holds two degrees both in computer science. He holds a Bachelor’s degree in computer science from the Massachusetts Institute of Technology and a Master’s degree in computer science from Stanford University.